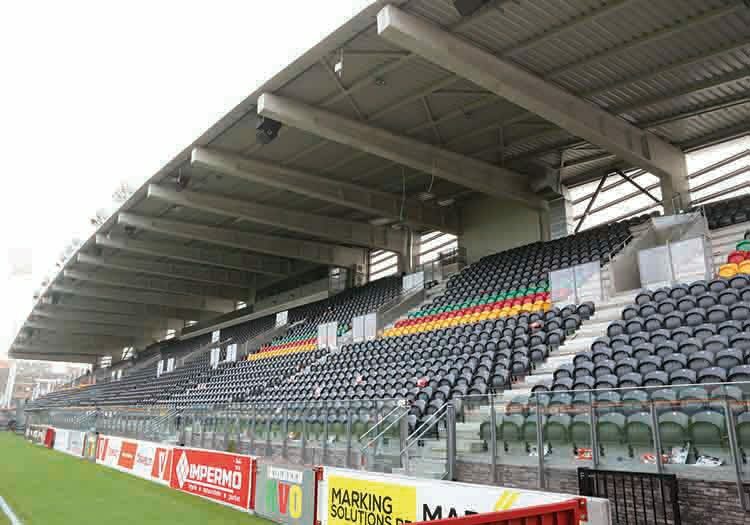 It can take up to a couple of years to build a football stadium, but the Belgium city of Ostend thought completely different about that. 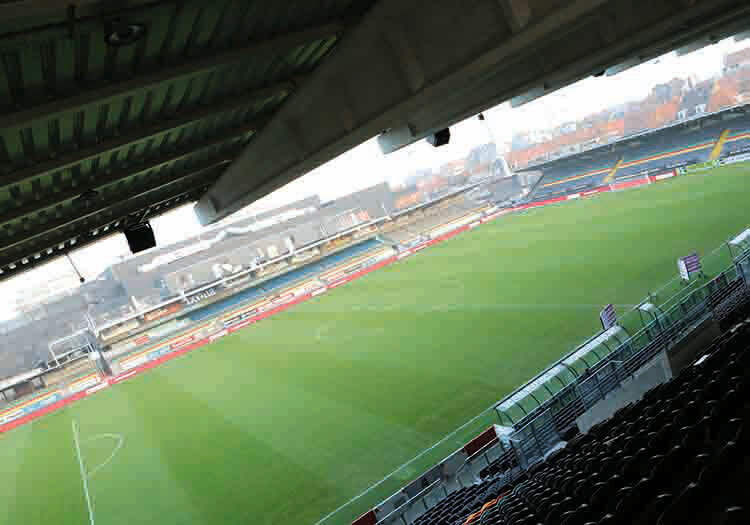 The home ground of KV Ostend was showing that it was outgrowing its capacity. Tickets to game nights were sold out for almost every home match and they even needed to use a next-door premise to serve diner for business guests. With ambitions to play at European level, new accommodations were needed. Club owner, Marc Coucke, decided that the stadium needed to be converted into a place where the team could grow and attract better players. Aside from creating a stadium with a larger capacity, the architects were also commissioned with making the largest bar, restaurant or club that the coastal city of Ostend had to offer. It had to be a modern, state-of-the-art and multi-functional football stadium in which there is also room for seminars and corporate parties. The multi-use Versluys Arena was built in a record breaking time of five months. 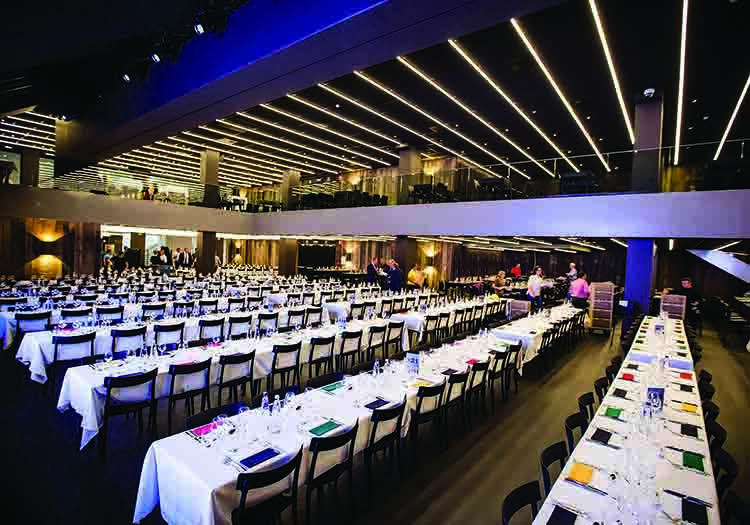 The stadium holds a capacity of 8,432 seats, has four large halls and three breakout rooms, a café and two new halls that can serve up to 1,100 diners. Regarding the support for the audio installation, the technical expertise of AVME provided a complete AUDAC audio system. At the heart of this system are the M2 multimedia digital audio mixers that are connected through a fiberglass network. With the speed of light up to eight high quality stereo channels can be send to the 4 M2’s that control 21 zones in the sports complex. The largest tribune is fitted with the FX series power loudspeakers from AUDAC. These can deliver a clear reproduction of music and speech for the thousands of screaming football fans. The smaller tribunes and hallways are equipped with weatherproof WX802_O wall speakers that can operate outdoor and deliver a deep bass for its size. Even though the M2 has sufficient processor power, the technicians from AVME made the choice to take the advantage of the WaveDynamics™ technology that is built in the SMA & SMQ power amplifiers. This technology can deliver advanced audio processing directly from the amplifiers to the loudspeakers. Because of the immensity of this football stadium a large quantity of CS series quick fit ceiling speaker were used for the indoor areas and the classy café ‘CLUB31’ received a combination of VEXO8 & PX12 high-power speakers and BASO15 bass reflex cabinets that will accommodate the atmosphere after the game. This whole conversion has even helped the club to qualify for next season’s European tournament.